Manufacturers universally tell us that a motorcycle helmet has a five year service life. While it could be easy to brush this off as a grand conspiracy to get you to buy a new helmet more often, the reality is that the helmet is slowly degrading from the day it goes into service. 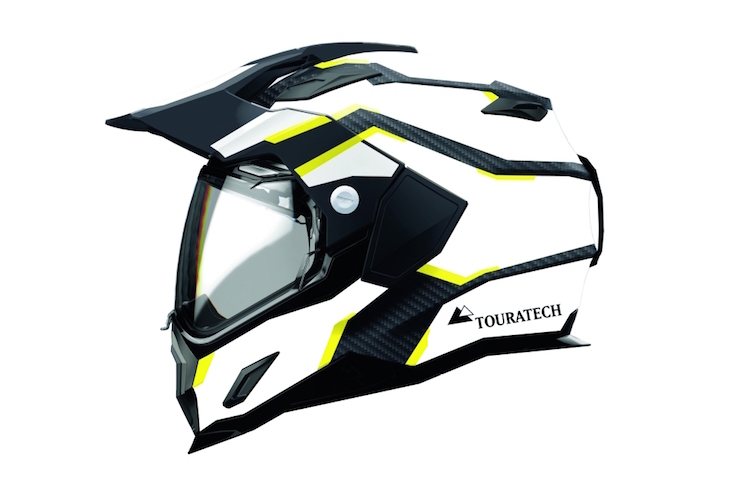 This is due to environmental factors that affect the helmet including UV rays from the sun, and the sweat and oil from our bodies which slowly change the foam and shell material. From what I have gathered from various owner’s manuals, the manufacturers figure the average motorcyclist rides about 4,000 miles a year. Using this assumption, over a five-year period, you will wear your helmet for about 28 total days. If you ride more than that, obviously the number goes up. So when does a person really need to replace their favorite helmet? We know five years is a back marker, but when is a good time? If the helmet is crashed it should be replaced, some companies will allow you to send a helmet back for inspection if you think it might be compromised. Personally if I think my helmet has been compromised by a crash my faith in it is gone, and normally I also rung my own bell and walked in circles mourning the loss of a helmet that I liked to everyone around for a few minutes (true story, I also had a concussion at the time). Personally, barring crashes, I tend to replace my helmets every three years or so. I average 8,000 to 12,000 miles a year, normally after a few years the helmet is feeling a bit looser than when it was new, the lining has started to get torn up by the stubble from my lazy shaving habits, the shell has lots of nicks from walking around with it in my hand, and cleaning has stopped working to freshen the helmet back up. I’m sure your mileage will vary, but if you think of your helmet as a pair of jeans and the condition would limit their use to working in the garage only, it might be time for a new helmet. I am really bad when it comes to cleaning the liners of my helmets, no matter how gross it is when I put it on, I always just put it back on the shelf after riding without cleaning it. Just about every helmet I have owned (and everyone in the past ten years) has had a removable liner to make cleaning easier. All that needs to be done is to remove the liner, normally consisting of two cheek pads and the top liner, and hand wash in the sink. 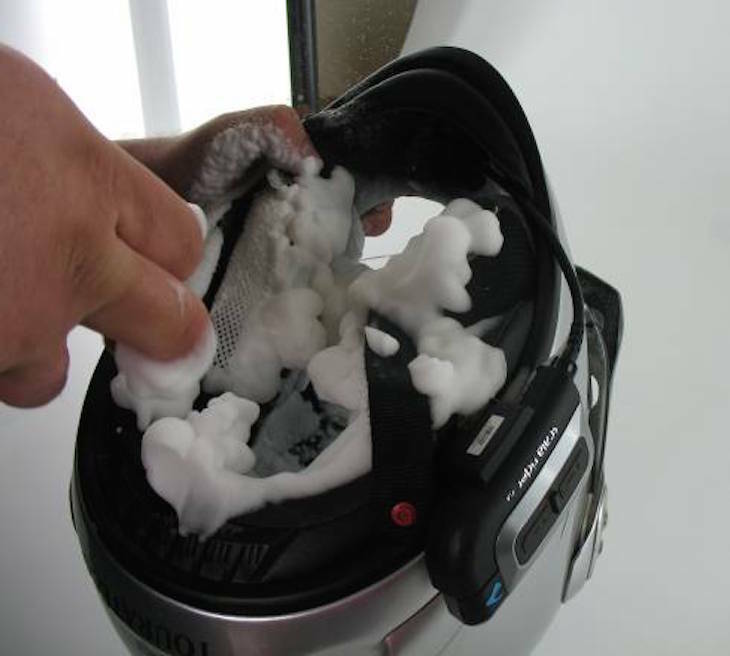 Motorex makes an amazing helmet cleaner (Motorex Helmet Care) that uses soap safe for helmet liners, and leaves the helmet with a nice fresh smell. This should really be done a few times a year, more often if you are doing lots of hot, sweaty, dirty, off-road riding. The color the water changes to when washing for the first time will convince you of the importance of this. Cleaning your helmet will make your helmet more enjoyable to wear for a longer time. 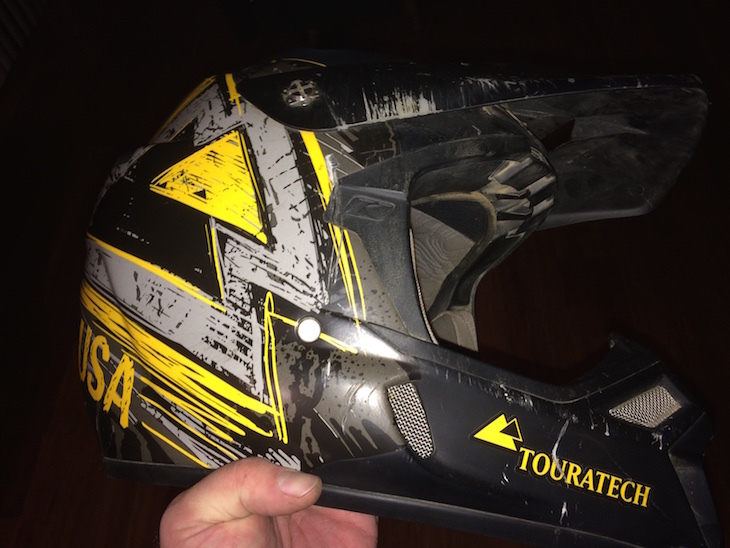 If your helmet feels worn out, it probably isn’t at its best anymore. If you have crashed, the helmet has earned its retirement. It can be hard to realize such an important and expensive piece of gear is a consumable with a finite serviceable life. Just think about all of the miles and hours you have used the helmet. A $600 helmet used for 20,000 miles works out to $0.03 per miles, that is a better return than I get out of tires. To read more of Archambault’s Angle CLICK HERE. March 26, 2015 in Members.